The All Peak Frame Tent is high peaked Aluminum frame structure. It takes the traditional frame tent and converts it to a sleek peaked design. 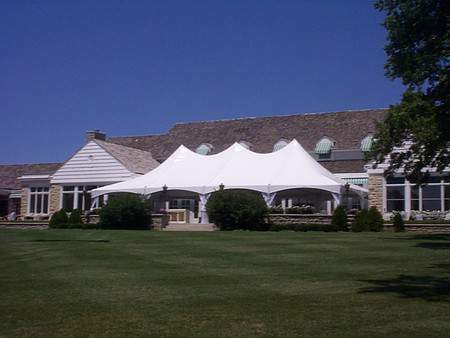 The top is onto the frame giving it a very popular tent for weddings & high end events.